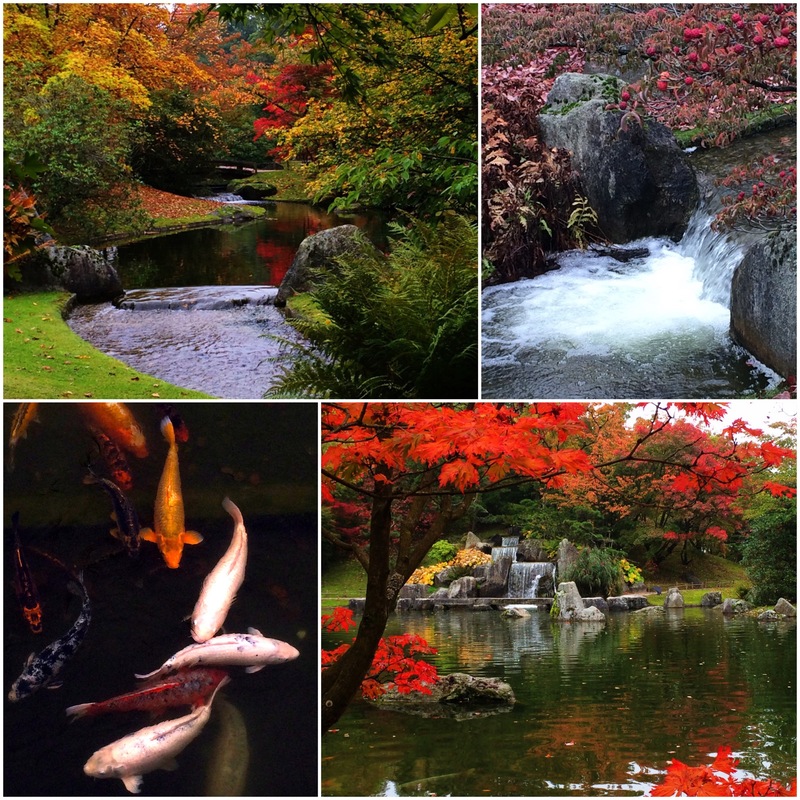 Japanese gardens are highly regarded for their beauty, symbolism and zen atmosphere. And although a trip to Japan is always recommended, you don’t have to travel all the way to find a nice example of Japanese garden design. 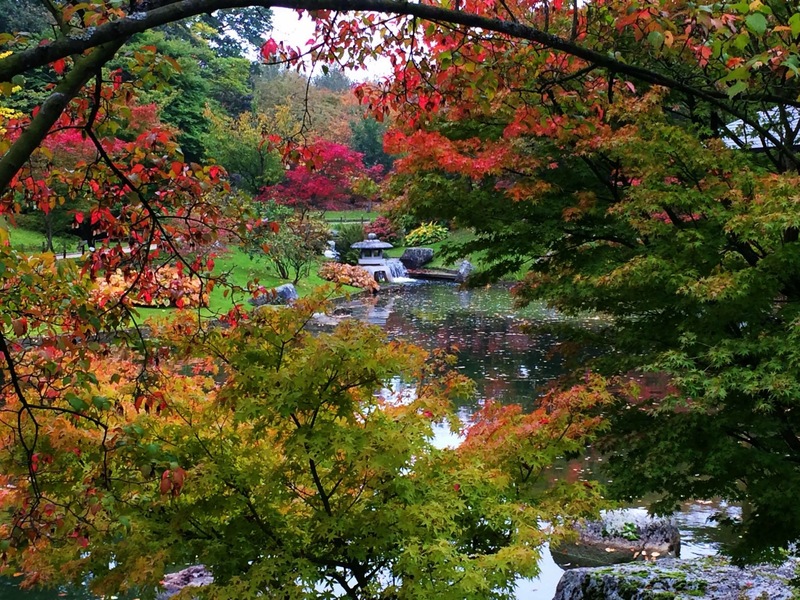 In the Belgian provincial town of Hasselt you can find the biggest Japanese garden in Europe and it’s especially worth a visit in autumn when it turns into a fairyland of colors. 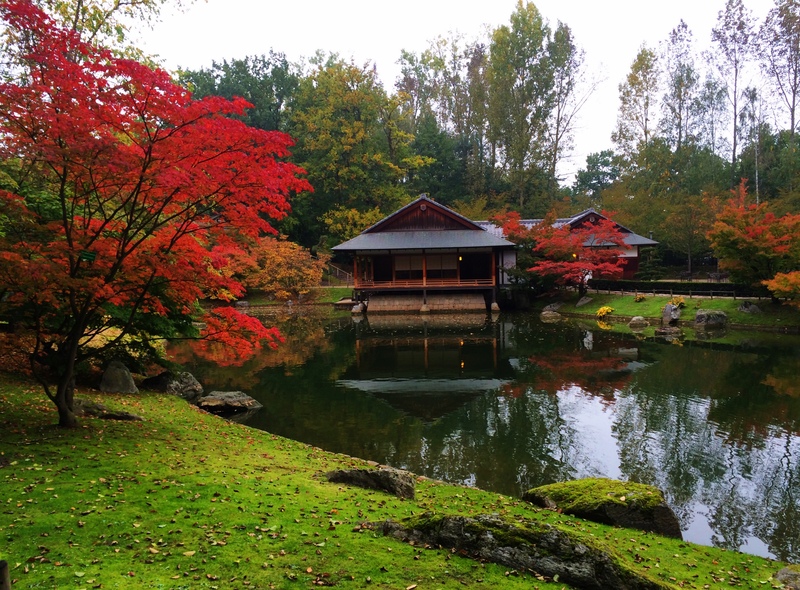 The garden is a gift from Hasselt’s Japanese sister city Itami to celebrate the strong ties between them. The 2,5 hectares big garden is designed in the style of 17th century tea gardens. In the garden water is playing a big role. A stream connects the different ponds and a large waterfall flows into the iris pond. In the old tradition people walked over the Yatsuhashi, a zigzag bridge in the pond to plant an iris in the pond to remember a person that died or went away. Large koi fish greet you near a pebble beach near the ceremony house. 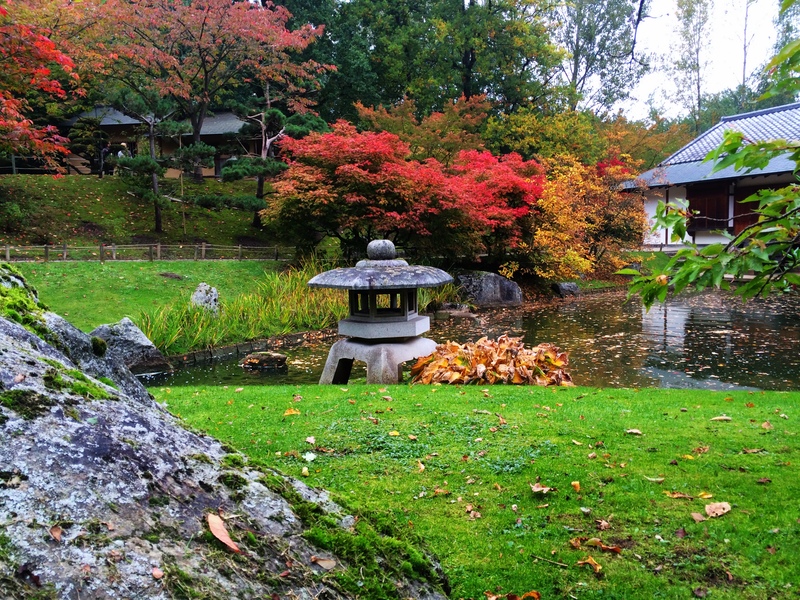 Of course this garden also has a traditional clay tea house, which lays quite secluded on a hill of moss. A stream meanders trough the garden and little waterfalls bring calming sounds. This garden is also worth a visit in Spring when the cherry blossoms cover the garden in a pink blanket, so I’ll have to go back to also have a look then. 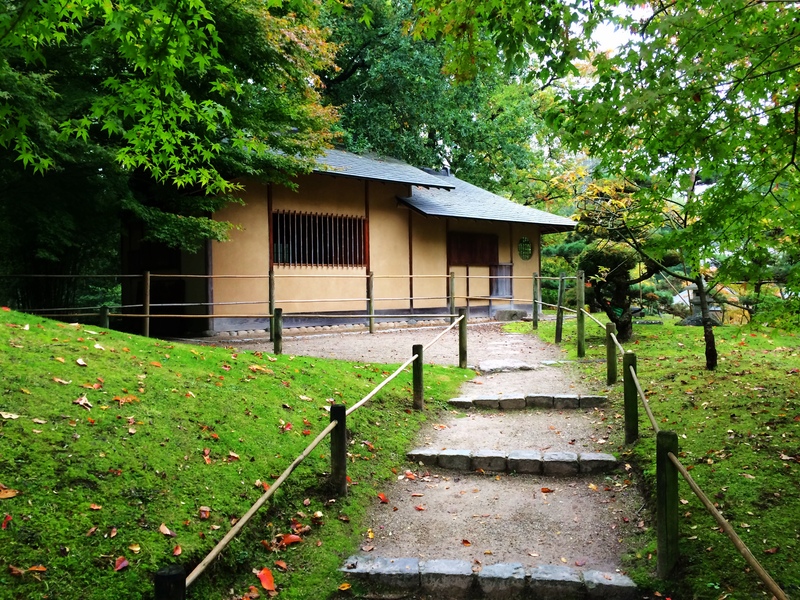 The garden is also a place where you can enjoy some Japanese culture like making Ikebana flower arrangements or participating in a traditional tea ceremony. Have a look on their website for their calendar. This week you shouldn’t miss the Kikumatsuri, chrysanthemum festival. Unlike us, the Japanese see this flower as a symbol of longevity and happiness and the garden is adorned with large flower installations from flower artist Tomas de Bruyne and his Japanese friend Naoki Sasaki. What a beautiful garden. Thank you for sharing. Stunning! Your photos are wonderful and I’ll bet it’s even more fantastic to see. Yes the colors there are amazing in autumn. You really managed to record the impression of a japanese autumn. It’s like I could smell the misty air. Really stunning!